Humankind’s largest emissary to Mars in a generation is set for blastoff in Monday, when Europe and Russia will dispatch a mission to unravel the mystery of Martian methane. 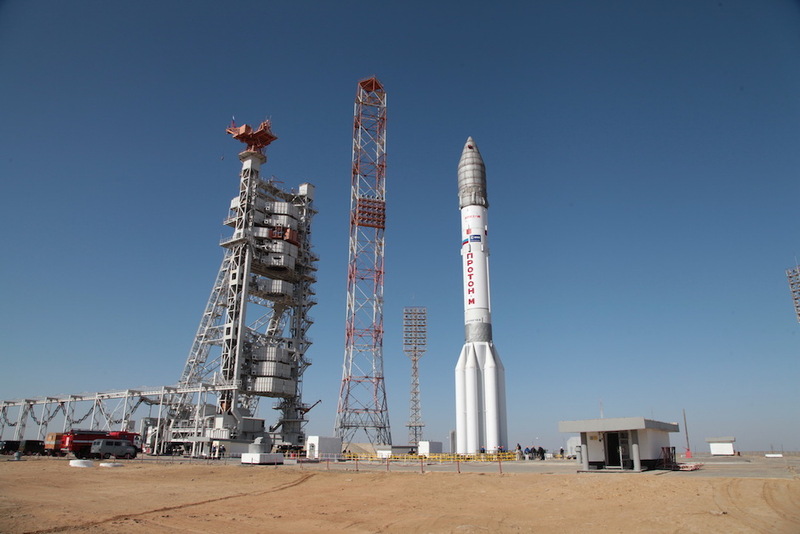 The massive spacecraft — about the size of a large moving van — is counting down to launch at 0931:42 GMT (5:31:42 a.m. EDT) Monday on top of a Proton rocket from the Baikonur Cosmodrome in Kazakhstan. Monday’s launch has been more than a decade in the making. 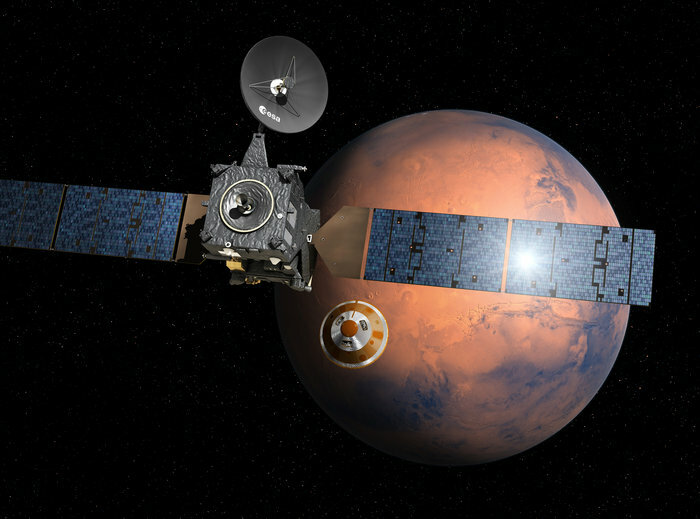 European Space Agency member states approved the ExoMars program in 2005, and the mission has been through starts and stops, funding crises and technical hurdles before reaching the launch pad. ExoMars consist of three European spacecraft: an orbiter and stationary lander set for liftoff Monday, and a mobile rover planned for departure to Mars as soon as May 2018. 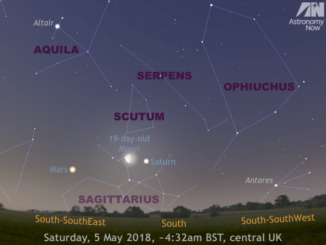 The mission poised for blastoff Monday will seek to confirm and locate pockets of methane on Mars, and prove out Europe’s ability to successfully send a lander through the harrowing heat of entry into the Martian atmosphere. Around the same time, ground-based observations by U.S. scientists also detected the signature of methane in the atmosphere of Mars, identifying plumes of gas emissions coming from the planet’s northern hemisphere in spring and summer. But the methane disappeared within several years, leaving scientists questioning where it went. It should take hundreds of years for methane molecules — composed of one carbon and four hydrogen atoms — to break down in the Martian atmosphere. “If it was true that there were emissions and then peaks of this methane, it meant that there was an active source, and also a more active destruction mechanism,” says Jorge Vago, project scientist for the European Space Agency’s ExoMars mission, a two-part project that will get off the ground in March with the liftoff of an orbiter designed specifically to address the methane question and measure levels of other trace gases in the atmosphere. 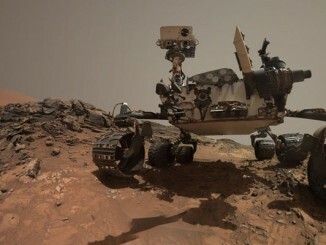 NASA’s Curiosity rover detected another apparent methane emission in late 2013 and early 2014, adding another measurement to the record. The methane levels are extremely low, bordering on signal noise in the data streams from Curiosity, with apparent occasional unexplained spikes. While the prospect that the methane could come from burps from microbes is tantalizing, scientists say either explanation would be enlightening. 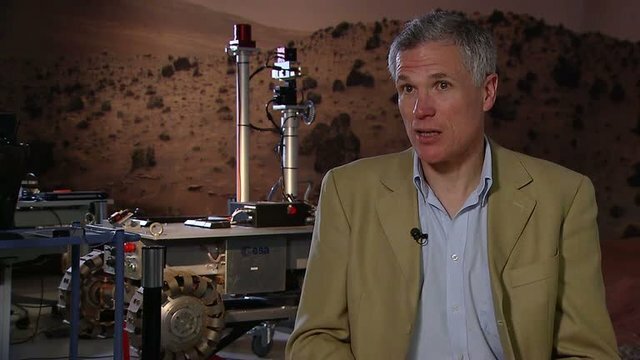 Jean-Pierre Bibring, a scientist at Paris Sud University and a member of ExoMars’ science team, says the possibility of a geologic source for the methane carries weight among many Mars researchers. Mars is at a point Bibring calls “geological death” when the convective engine deep inside a planet goes quiet. Earth, which is larger than Mars and still able to support churning super-heated rock deep underground, will reach a similar fate in the distant future, but still well before the sun goes dark. Volcanic activity on Mars ended less than 100 million years ago, perhaps as little as a few million years ago, Bibring said. “But it might be the outgassing has not finished, and that most of what we see now in the atmosphere of Mars, the few millibars of what we have including the trace gases, are the result of the still active processes deep inside Mars,” says Bibring, who is also the chief scientist on Europe’s Philae comet lander. A stationary lander will accompany the ExoMars Trace Gas Orbiter to the red planet, seeking to become the first European spacecraft to successfully touch down and return data from Mars. Another launch as soon as May 2018 will send a 300-kilogram (660-pound) rover to drive around Mars and drill up to 2 meters (about 6 feet) into the planet’s crust to root out soil samples shielded from ionizing radiation and damaging oxidants like perchlorate, which spoil organic biosignatures at the Martian surface. Many astrobiologists believe potential signs of past or present microbial Martian life forms would be best preserved metres underground, a domain untouched by any Mars mission to date. “We will, for the first time, explore the third dimension on Mars, which is depth,” Vago says. First comes the precursor mission set for launch this month. The 12-day launch window opens Monday, with Russia’s largest operational booster assigned to propel the spacecraft aloft. ESA partnered with Russia to supply Proton rockets for the two ExoMars launches in 2012, after budget constraints forced NASA to withdraw from the program, leaving European managers in a bind. Sergei Saveliev, deputy head of the Russian space agency, says his country’s agreement to participate in the ExoMars missions saved the program. The Russian government is also paying for scientific instruments and the descent module designed to shepherd the ExoMars rover to the surface of Mars after its 2018 launch. The mobile robot will drive off a Russian-made stationary platform once it lands on Mars. “ExoMars is a very complex and costly project which simply cannot be done by one country alone, so it’s the result of our cooperation,” Saveliev says. The first launch in the two-part mission is a largely European affair, except for the Proton launch from the Baikonur Cosmodrome in Kazakhstan. Built by Thales Alenia Space, the ExoMars Trace Gas Orbiter and its piggyback lander, named for Italian astronomer Giovanni Schiaparelli, will weigh a combined 4.3 metric tons (9,550 pounds) with full propellant tanks. That makes the composite spacecraft one of the biggest and heaviest to ever to go Mars, and if it makes the trip successfully, it would be the largest to reach the red planet since the 1980s. The seven-month journey concludes in October as the tandem probes approach Mars. 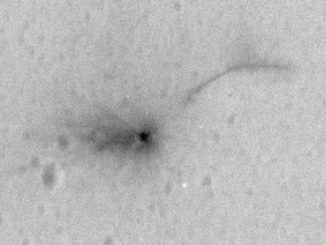 Three days before arrival — on Oct. 16 — the Schiaparelli lander will separate from the orbiter, heading for a high-speed descent to a touchdown zone in Meridiani Planum, a flat plain currently being explored by NASA’s Opportunity rover. Arrival day is fixed on Oct. 19 as long as the spacecraft departs Earth some time in March. The Trace Gas Orbiter will fire its main engine to brake into orbit around Mars as the Schiaparelli lander plummets through the atmosphere, using a supersonic parachute, rockets and a novel carbon fiber crushable shield to slow down before reaching the surface. Following the critical arrival burn, the orbiter will initially circle Mars in an elliptical path taking the craft around the planet once every four days. The orbiter will conduct subsequent engine burns and dip into the outer fringes of the Martian atmosphere, using air drag to manoeuvre into a circular 400-kilometer (248-mile) orbit by the end of 2017. 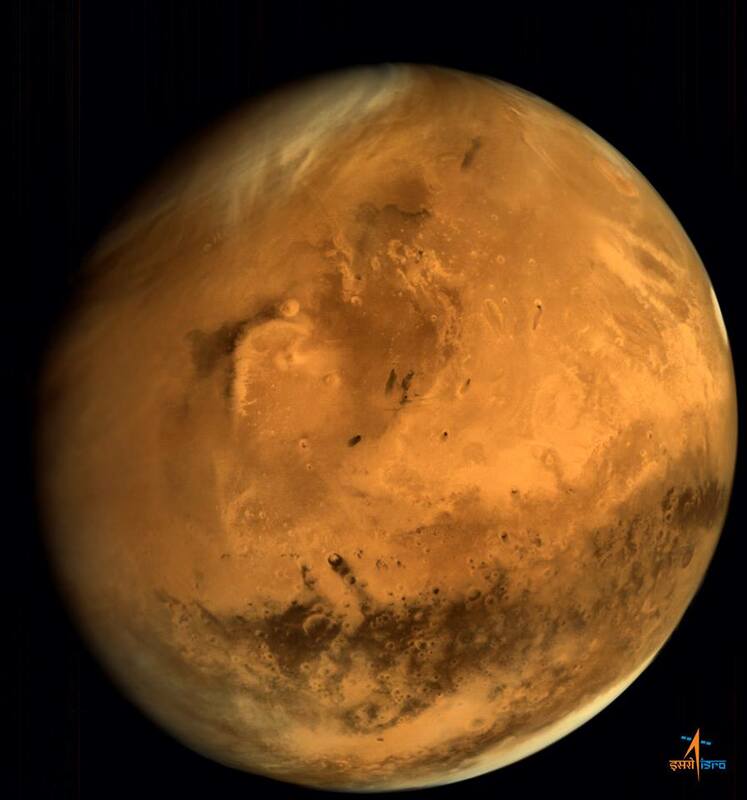 There it will start a five-year campaign of atmospheric observations, land surveys and telecom relay duties, joining an international fleet of operational Mars orbiters that currently counts five members from NASA, Europe and India. The Trace Gas Orbiter carries four science instruments, including two suites of spectrometers, a stereo mapping camera and a detector that will observe the interaction between cosmic rays and Martian soil, helping determine how much hydrogen is locked under the surface and locate clay minerals that formed in the presence of water on ancient Mars. The orbiter’s spectrometer instruments — the Atmospheric Chemistry Suite and a payload known by the acronym NOMAD — will peer at Mars in ultraviolet and infrared light to tease out the constituents making up the planet’s rarefied atmosphere. “Between those two instruments, we will have the largest spectral coverage ever for the detection of gases on the Martian atmosphere,” Vago says. The atmospheric observatory will measure the amount of carbon dioxide — the most common molecule in Martian air — methane, water, hydrogen chloride, ethane, nitrogen dioxide, acetylene, ethylene and other chemicals that make up a fraction of a percent of the planet’s atmosphere. The orbiter’s camera, developed by scientists in Switzerland, Italy and Poland, will resolve features on Mars’ surface as small as 5 metres across. Controllers will command the camera to capture images of the same segment of the red planet from different angles, giving researches three dimensional stereo views. Primarily funded by the Italian government, the Schiaparelli probe heading for a landing on Mars will have much less time to complete its mission. Powered by batteries, the lander will drain its energy source within two to eight days of touchdown. Schiaparelli’s namesake observed Mars in the 19th century through telescopes and created the first maps of the red planet. He marked natural channels coursing across Mars, and his maps inspired a wave of interest in the red planet, leading to the construction of new telescopes to further study the rust-colored world. Shaped like a flying saucer, Schiaparelli’s prime objective is to prove out the technologies required to safely land on Mars. Sensors affixed ot the probe will observe the weather at the landing site and collect data on the layers of the Martian atmosphere during descent. Schiaparelli will be the first mission to touch down on Mars during the planet’s global dust storm season, and its landing will come 13 years after the Beagle 2 probe built in Britain reached the red planet. Mission control never heard from Beagle 2 after its landing attempt, but scientists last year revealed new imagery from Mars orbit apparently showing the lander sitting the surface with its power-generating solar arrays still partially folded. The discovery led engineers to conclude Beagle 2 may have survived its landing, but a problem prevented full deployment of the solar panels, potentially blocking the antenna that was to radio its status to Earth. 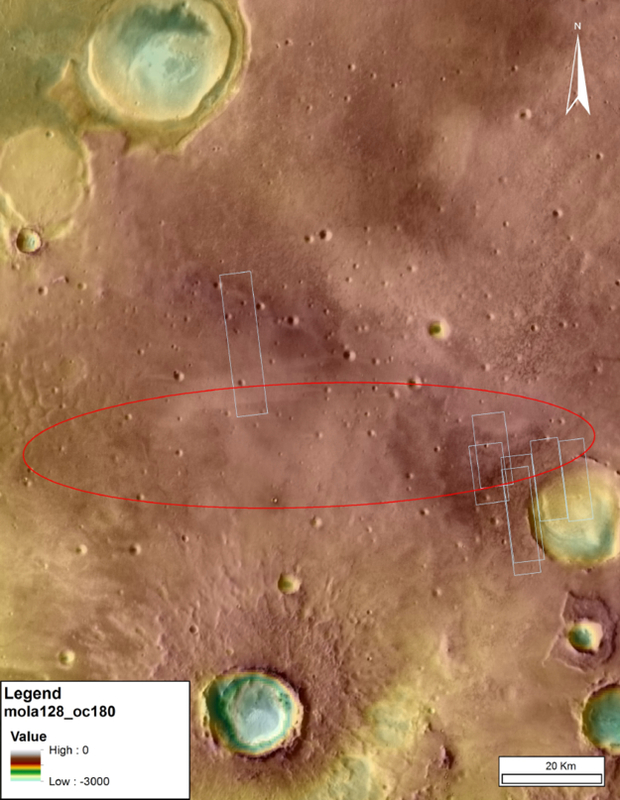 Schiaparelli’s flight to Mars is Europe’s second try, with a much bigger package than Beagle 2. It goes to Mars with a doppler radar guidance system, modernized control algorithms and a computer that will be crucial to the 2018 mission’s rover landing. It also boosts Europe’s bonafides when it comes to future Mars projects, such as an audacious concept to return samples to Earth.